…everything seems dust and ashes to me compared to these three or four months in my town surrounded by about fifty children to whom I could say in dialect: "ver la boca da peu (open your mouth wider)." ...The wonder must be in us, expressing itself without wonder: the best dreams are those outside the mist, which can be seen like the veins of leaves. Music does something special for children. Statistics have shown that students who learn to play instruments through sustained study and practice not only develop their musical talent and discipline but also perform better in other classes and on standardized tests, especially in math. Nonetheless, over the past years, many a music program in southern California’s schools has been dropped, severely reduced, or nipped in the bud before it ever blossomed as the brainchild of a normal teacher, principal, or parent — one not even particularly cognizant of the treasure chest of benefits a musical education offers a child, but someone who simply saw music as a elementary part of life. 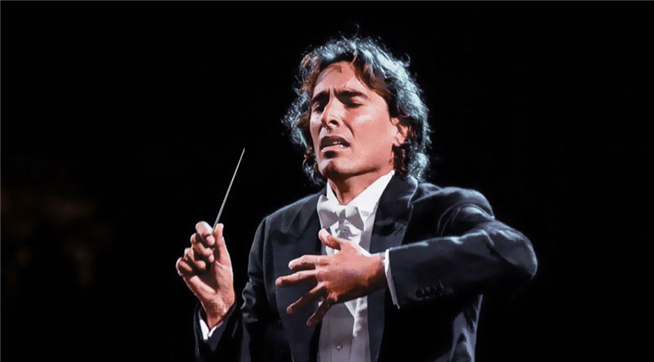 Maestro Carlo Ponti, as future-oriented as he is talented, is trying to change that. Thanks to his Los Angeles Virtuosi Orchestra, many children will have a chance to play an instrument for the first time. Others will advance to competitions and auditions and dream of musical careers. At the Théâtre Raymond Kabbaz (TRK) in Los Angeles on Thursday, February 11th at 7:30, concert attendees will hear the Los Angeles Virtuosi Orchestra (LAV) play two works by Verdi and Debussy not yet performed on the West Coast along with what is arguably Mozart’s most highly regarded piano concerto and know that all the net proceeds of subscription ticket sales will go to the musical development of school children in Los Angeles who would otherwise be likely to miss out on the pleasure, inspiration, and enhanced education that learning music provides. 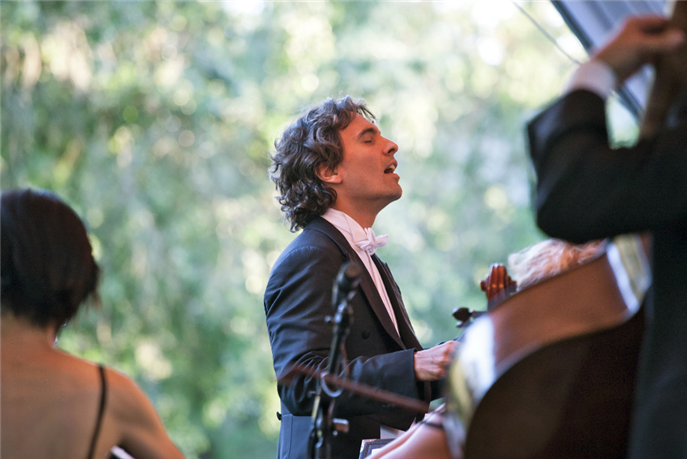 I spoke with Carlo Ponti today about the nature of this week’s program — the second of three concerts this season at the TRK— his residency there, his orchestra, and his advocacy and support of children’s musical education. KINOCaviar How did you chose to perform the two quartets? Carlo Ponti Verdi’s String Quartet in e minor is the only instrumental work he composed. He was famous for his operas, and he wrote some vocal music, some masses, but he composed this quartet when he was opening Aïda in Napoli. The singer fell ill, and bored in his hotel room while he was waiting for her to recover so that the opera could be presented, he wrote this string quartet. It premiered in the lobby of his hotel, performed by local, unknown musicians. This was in Verdi’s late period; Aïda was one of his last operas. The complex harmonic language of the quartet is very demanding to play. It’s a compact, condensed work, and it doesn’t allow you to relax or stop thinking for one minute. CP Debussy’s String Quartet in g minor, Op. 10 is arranged for orchestra for this performance, with a core of 22 strings. We’ll be performing the third movement. It appeals to the audience because it’s melodic, not too angular or forward-looking. In the second half, it alternates between solo and tutti to give the timbre of the sound of a single instrument. KC Of all Mozart’s piano concertos, why present this one? CP Many scholars agree that the Piano Concerto No. 9 in e flat is Mozart at his apex. It’s his most profound piano concerto even of all his others. His most expansive key is e flat major. The central movement is the longest, which is unusual; in most concertos it’s the first. And for the first half, we have not only the strings but also two oboes and two horns. The orchestration calls for these. This is the first real, mature, large-scale work of Mozart, and it’s a work very close to my heart. Piano is my instrument. I studied piano at USC. Our soloist for this performance is Miss Jungwon Jin from Seoul, Korea. She’s a perfectionist. KC Who are the other musicians in the orchestra? CP Our musicians come from the best ensembles in Los Angeles: the LA Philharmonic, the LA Chamber Orchestra, and the LA Opera Orchestra. We also have some young free-lancers. I think the combination of seasoned professionals and younger musicians generates the most enthusiasm. KC Is there a “signature” style for LAV? CP The orchestra size itself makes LAV special because the audience can hear all the textures of the music. The musicians are very exposed, and everyone is a virtuoso. With so few players, there is no room to hide. The TRK highlights the precise and transparent nature of the ensemble’s performance. The theater is so intimate that this precision is even more perceivable in such close quarters. There’s a sense of directness and the feeling that the musicians are playing just for you. 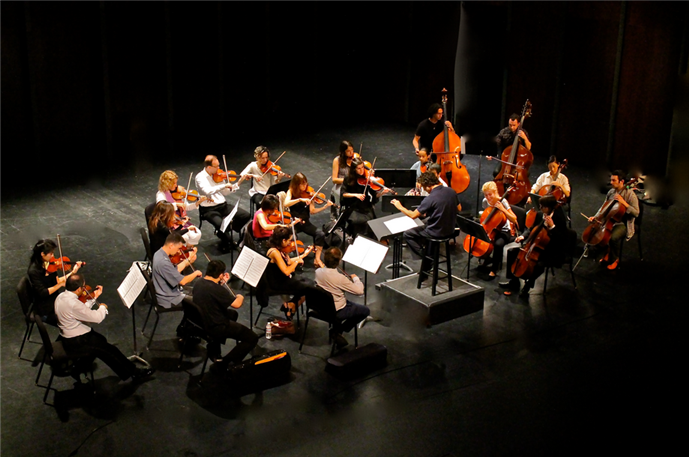 The proximity and the symbiotic relation between the orchestra and the audience at the Théâtre Raymond Kabbaz make the experience very exciting. KC How old is your orchestra? CP We were born in 2013, so this is our first full season. 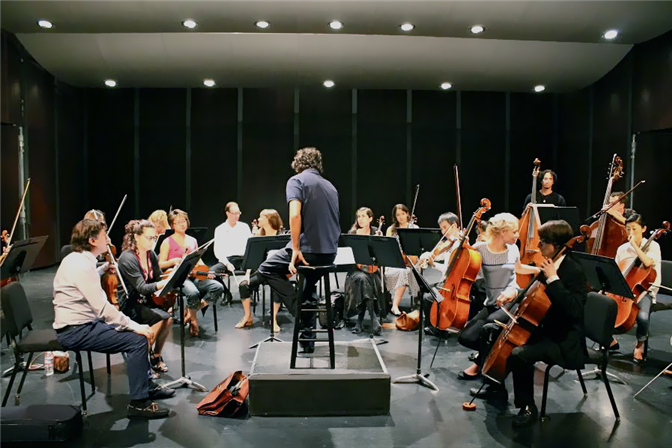 KC What does it mean to be the “orchestra-in-residence” at the TRK? CP Los Angeles is the largest county in the United States and the most in need of music. I’ve always been a strong advocate of developing young musical talent and supporting it. 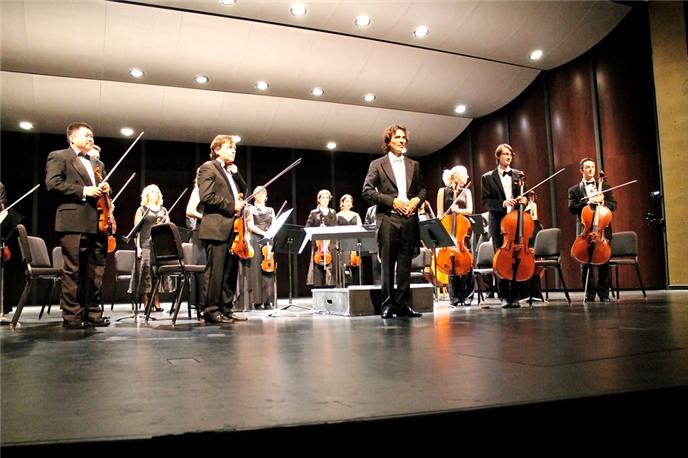 My orchestra is the first to donate 100% of the net profits of subscription concerts to music education in the school system, so ticket holders for our concerts can be philanthropists. LAV contributes to music study, orchestral programs, and the teaching of individual musical instruments at schools throughout Los Angeles, but the principal has to be dedicated to music and support it in school as part of the overall education. Not only do we devote ourselves to Le Lycée Français de Los Angeles, the school here at the TRK, but also to three schools in the San Fernando Valley — Pacoima Charter Elementary School, San Fernando Elementary School, and Andrés and María Cárdenas Elementary School. Some had programs that were cut, and for others, we’re expanding the music programs. KC What does the full-season concert subscription at the TRK include? CP We began with a performance in September of 2015, and this week we’re mid-season. On May 12th , for the first half of our concluding concert in the series, I’ll be conducting movie music to pay homage to my family by offering a tribute to its filmic legacy. We’ll perform works by Nino Rota and Maurice Jarre. For the second half of the May concert we’ll play the 1st Symphony of Georges Bizet, never yet performed on the West Coast, to pay homage to the TRK and the Lycée. It’s do-able by a chamber orchestra, but we’ll be adding woodwind, brass, and timpani musicians, so we’ll be about 37 in all. We’ll be celebrating both my origins and also the TRK in this grand finale of the season. Individual tickets $30 for adults, $15 for students. Two-concert subscription package $52 for adults, $26 for students.